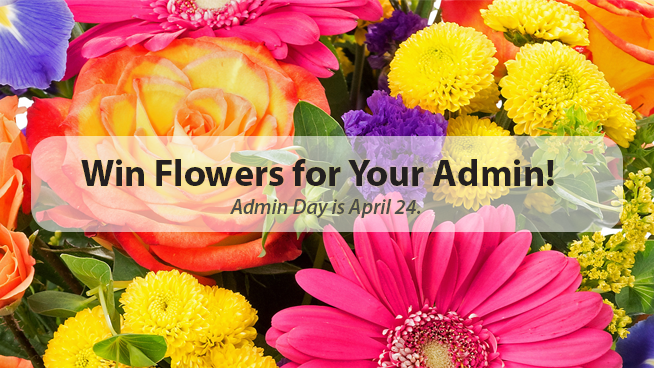 Win Flowers for Your Admin! Administrative Professionals Week is April 21-27! Express gratitude to the support staff that keeps your office, school or other place of business running smoothly all year round. Show them how much you appreciate their efforts with gifts and beautiful, fresh flowers. Viviano Flower Shop has unique, artful arrangments to help you say thank you. You could win $50 in flowers & gifts from Viviano Flower Shop! To enter by text, text ‘GRATITUDE‘ to 55678, or register below.